On February 19th, Google announced that it would no longer show right-hand PPC ads on Google Search globally. This has caused quite a stir within the marketing and advertising community. There will be no Text Search Ads seen on the right-hand side of search results. Only knowledge graph results and product listing ads, will be seen in the right-hand panel. An example of this can be seen below. There will be 3 or 4 Paid Ads shown above the organic results depending on the competitiveness of the search query. 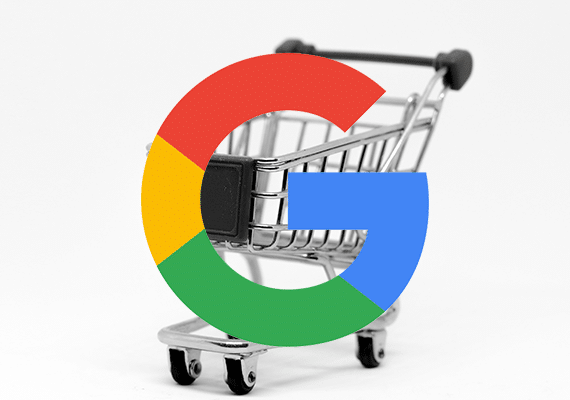 This means that only for “highly commercial queries”, where Google sees an intent to purchase, Google will show a fourth paid search result at the top. 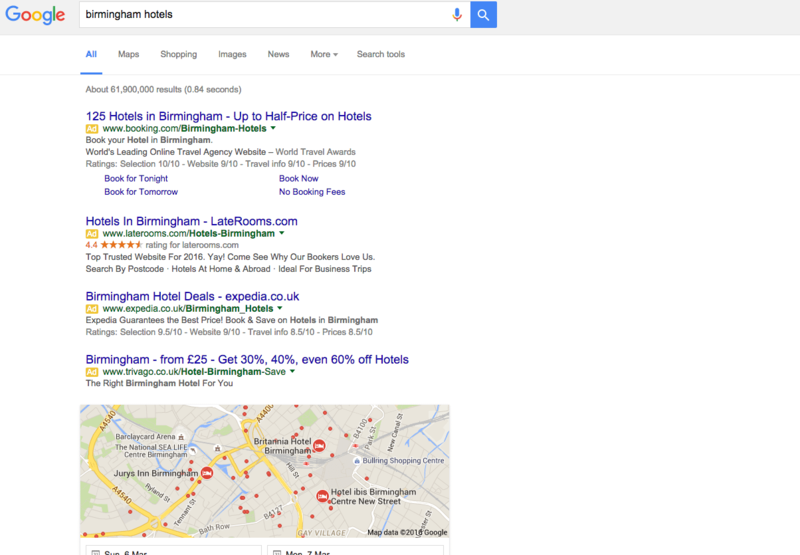 Here is how a competitive query search for “Birmingham hotels” is seen on Google search now. What are the possible implications of this change? Paid search is going to become even more competitive and expensive. Organic listings will be pushed even further off the first SERP and in time will go off the first page completely. Or there will be more focus and importance laid on the organic listings as there are no more distracting ads to the right. In all probability, getting listed organically is going to get tougher. 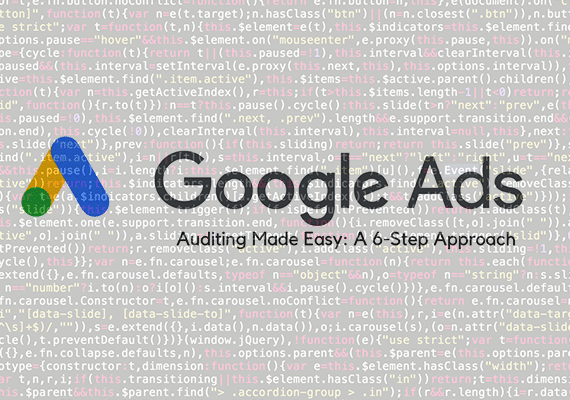 A better user experience with the ads becoming native and leading to a seamless search experience where the paid ads flow naturally into the organic search results. Small Brands could possibly struggle as they might not have the necessary budgets to compete for the top positions in paid search because of the high cost per clicks. For some time now, Google has been hinting at its mobile-first strategy. With this latest change, the mobile and desktop search results will appear almost similar to each other leading to a better user experience. Also, monitoring and analysing data, the outcome of ads for these two mediums will now become more streamlined because of the similar pattern of ads displayed in the search. It could also be because the right-hand ads were not economically viable for Google because of lower CTRs as suggested in this article by The Media Image. Organic results will have to compete harder to match their paid counterpart. With Paid Ad CPC becoming expensive, SEO efforts will have to go hand in hand with paid search as part of an entire SEM strategy. Businesses ( especially smaller ones) will have to decide if they want to pull out of the expensive CPC bidding process for certain expensive keywords and try even harder to rank at the top spot of organic results instead. Focus towards branding will increase even more with marketers hoping that the brand will play a key role in top-of-mind-recall for customers to decide on which search result to click rather than be swayed by the paid results being displayed above the fold. This could go either way. No more right-hand side text ads could mean an improved engagement with the top of the page ads. But it could also anger certain searchers who are more interested in the organic listings rather than paid ads and could be put off Google Search altogether in time to come. Only time will tell, how this move works for Google Search. What has your experience been with these recent changes? Do you think it works for you? We would like to see what you think. Feel free to share your comments on our Twitter Page.